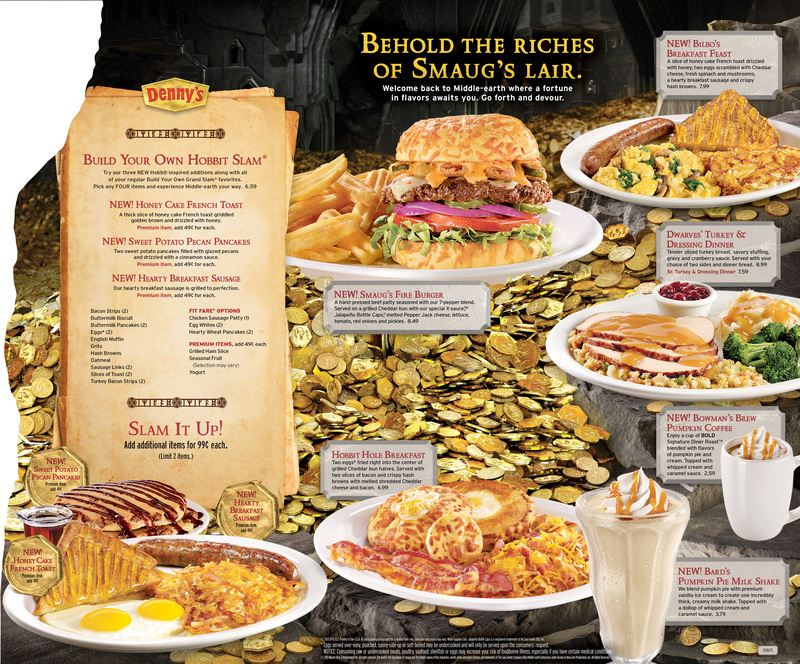 Some fans of The Hobbit might remember that last year, this writer went out to Denny's corporate headquarters to check out a special cross-promotion event between Denny's and The Hobbit: An Unexpected Journey. We highlighted the Middle-Earth themed menu after tasting each of the items that reference Peter Jackson's fantasy blockbuster. This year, the restaurant is doing the same thing for The Hobbit: The Desolation of Smaug, and they've just unveiled an exclusive featurette that looks at the house of Beorn (Mikael Persbrandt), where our heroes have to hide out momentarily after being chased. There's some behind the scenes footage and more in this cool featurette worth checking out. Watch below! Look up 'Denny's fights' on Youtube, it's like Middle Earth. Martin Freeman is my new favourite. Simply Love Him.